Cruises for kids can be difficult to find, but a Hotel Barge Cruise is not just for adults, there are plenty of Child Friendly Visits to keep the little ones entertained! For a company that prides ourselves on unique, unusual experiences, this is up there with the best of them! In a once disused quarry in the heart of Northern Burgundy, a team of fifty stonemasons, carpenters, blacksmiths, woodcutters & tile makers are building a castle from scratch, using only medieval methods and materials. It is here that the whole family can watch these master craftsmen at work, as the castle and grounds take shape before their eyes, as well as visiting a working medieval flour mill in the depths of the forest. 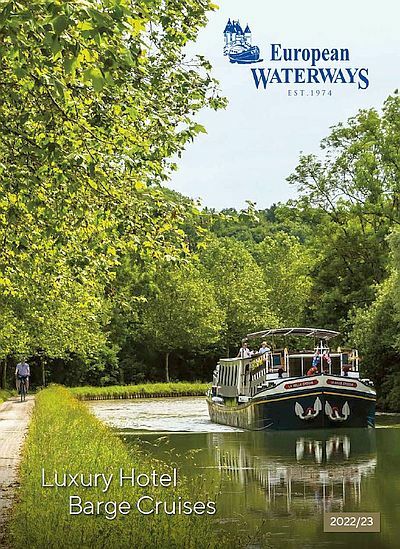 More information on a Family Cruise in Burgundy here. Not many cruises for kids can offer something this spectacular. Described as the greatest railway journey in the world, this 84 mile round trip aboard The Jacobite takes you past a list of impressive landmarks between Fort William and Mallaig. Starting near the highest mountain in Britain, Ben Nevis, it visits Britain’s most westerly mainland railway station, Arisaig, passes close by the deepest freshwater loch in Britain, Loch Morar and the shortest river in Britain, the River Morar, finally arriving next to the deepest seawater loch in Europe, Loch Nevis! More information on a Family Cruise in Scotland here. The beautiful scenery on the Herault River makes this an excellent option, stone gorges, lush woodland and roman aqueducts ensure that there is plenty to see. The water itself is relatively calm for those who do not wish to be buffeted about the place, or for the brave hearted there are a few fantastic spots to Kayak. One of our favourite cruises for kids, due to the diverse scenery -More information on a Family Cruise on the Canal du Midi here. Perhaps you have a budding Robin Hood on your hands? Archery in a 25 acre forest deep in the Burgundy hillsides might be something they’d take an interest in! Just a short drive from our mooring is a sprawling archery site, and the perfect excursion to keep energetic kids (and adults) entertained for a few hours. After this it’s back to the barge to discuss it all around the dinner table where we’re sure that the crew would love to hear how it went! Situated in Aviemore, Scotland, at the foot of the Cairngorm Mountain Range, the Cairngorm Sled-Dog Centre offers a wide range of activities for the whole family. Be part of a real sled dog adventure, taken by a large dog team into some of the best scenic routes in the Cairngorms, past herds of red deer and other wildlife, taking in breath-taking panoramic views of two sets of mountain ranges. One for the explorer in all of us!